So most of you know how I feel about a diet….it’s THE worst four letter word in the dictionary. The minute we go on a diet, we start craving foods we don’t usually eat in the first place! We are always tempted by the latest and greatest diet fad that comes along, and then we find out a few years later that it wasn’t really that good for our health after all. Margarine was the rage when I was growing up, butter was the enemy and who had ever heard of EVOO, extra virgin olive oil? Eggs were evil and now they are saints. The Adkins diet came along and everyone went into protein overload and even an apple was considered a no-no. The grapefruit diet was a real treat, and how about that yummy cabbage soup diet? The low fat diet was another crazy idea where all starchy foods were put on a fat diet, but sugar was added to make them taste better. How was that an improvement? Then wasn’t it remarkable that everyone came down with Celiac disease at the exact same moment? The gluten-free phase is hanging in there and driving every great chef in the country absolutely crazy. Can you imagine trying to serve your family a gluten-free, low fat, vegetarian, vegan dinner along with a big ribeye every night to keep everyone happy? What happened to those wholesome balanced meals our grandparents used to serve on Sundays that came from whatever was growing in their garden or bought from their local small markets? I don’t remember my grandmother ever pulling a box out of her cabinet to whip up for dinner. Do you remember having to cross off certain types of “bad food” from your list of Granny’s favorites way back when? So when did our love affair begin with convenience foods full of ingredients we can’t pronounce? The knowledge gained in WWII regarding the stability of storing food and preparation ease, lead to quick and easy foods created in test kitchens. Let’s face it, baking a cake had never been so easy and every mom in the nation started grabbing up Hamburger Helper and Kraft Mac & Cheese. Before long, dinner tables were filled with foods that were far from the fresh vegetables and fruit that were once part of the family meal plan. The local mom and pop farms closed down and were replaced by enormous corporate farms, located far away from where we lived. We began to love being able to get any type of fresh produce all year long, and didn’t even think about where our food was coming from or how it was being grown. It soon was apparent that if tomatoes are going to be grown in California and shipped to the east coast, there had to be a way to increase their shelf life so they would be delivered fresh several days later. So starting with a simple tomato just 20 years ago GMO’s, genetically modified foods, started sneaking their way into our food and are now in everything we eat, from the wheat in our cereals and breads to the meat on our table. While Europe has always been cautious regarding GMO’s, with mandatory labeling on all foods including animal feed since 1997, the USDA has never been too concerned, although the issue has been popping up on ballots in recent years. As individuals began opposing GMO’s, a farm-to-table movement started growing across our country. Creative chefs and local food producers were turning back time to how crops were once grown, cheese was made and livestock was raised without antibiotics and genetically modified anything. The simple way to eat and to live. This popular movement refers to every stage of food production, from growing to harvesting, storage, processing, packaging, sales, and ultimately the consumption of fresh, healthy, and natural food. It’s success can be seen in the small independent and very popular restaurants that are attracting customers who are hungry for real food grown in nearby farms, not thousands of miles away. Many communities are also joining in by providing healthy options to anyone who is interested. 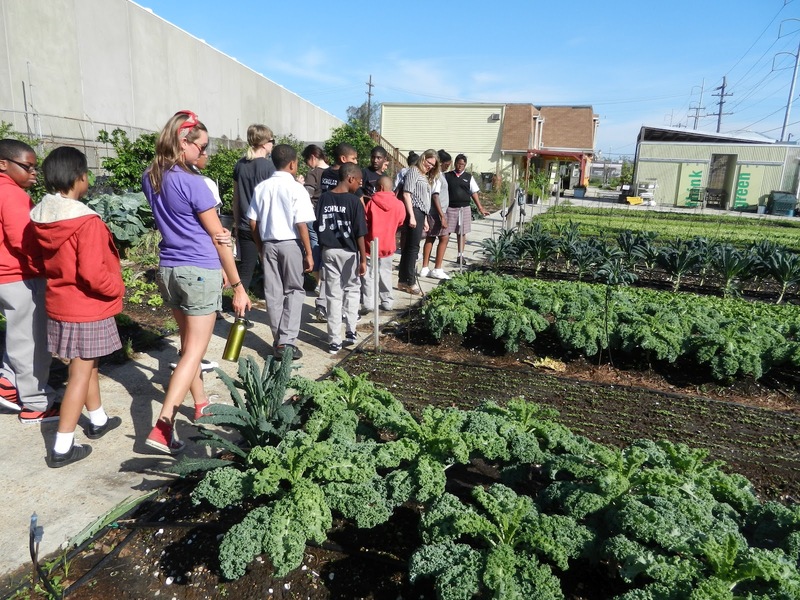 Schools are growing gardens or working with farms to show city children where the food they eat comes from and how it is harvested. 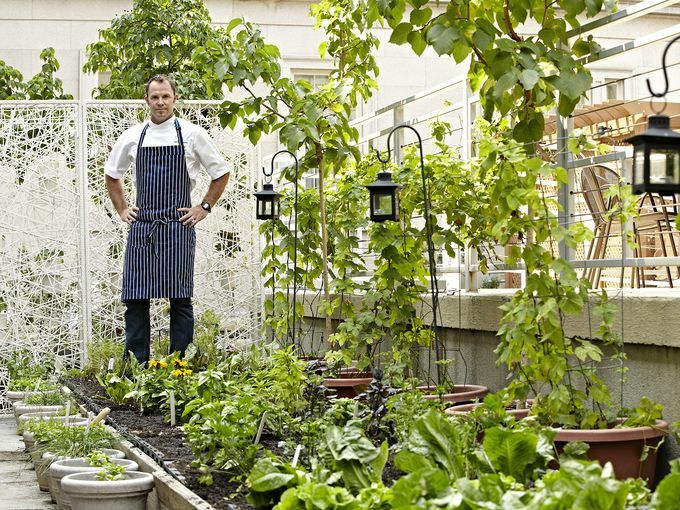 Community gardens are popping up throughout neighborhoods in large and small cities. Fresh organic food straight from the farm, can be delivered to people in the city by the boxful every week. Even large food distributors have come on board by providing fresh produce to restaurants that is grown closer to the regions they supply. Somewhere along the way, with the invention of convenience foods and trying to feed our families quickly and cheaply, we forgot about real food, food that comes naturally from the earth without any GMO’s or added corn syrup to cover up the chemicals. Obesity wasn’t in the news every day, allergy medicines didn’t line our pharmacy shelves and Celiac disease was relatively unknown until more recently. With all of the so called “improvements” we made in food production and preparation in the past 50 years, more people than ever before have health issues related to food consumption. Think about what you put in your mouth and where it came from. Start making smarter choices, forget fad diets and build a food plan based on healthy simple foods that are grown nearby. Eat from the Earth, not a box from your grocery store.